This uses this post from Benjamin Hermann as an example. Click Yes. 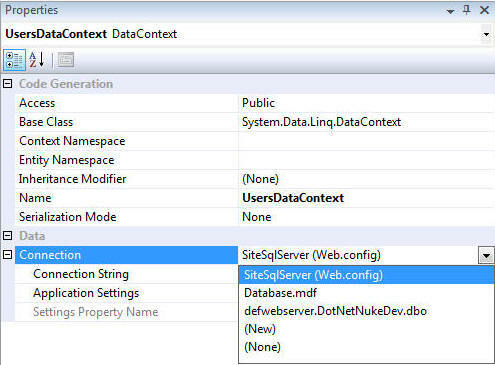 This will add the needed changes to the web.config to allow LINQ to SQL to run. 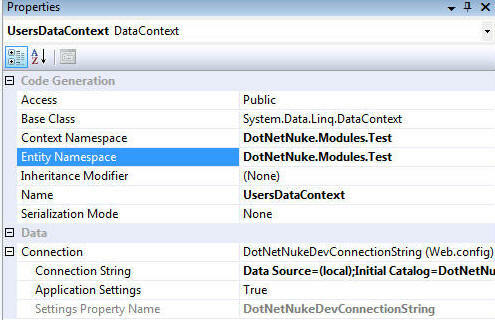 Create a module (see this tutorial for instructions on creating a simple DotNetNuke module). 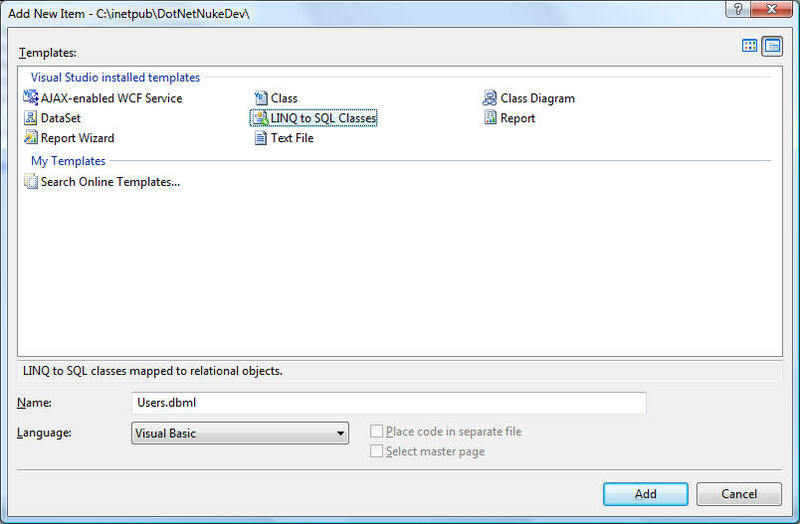 Select the LINQ to SQL Classes template, give the .dbml file a name and click Add. When the .dbml file opens you can modify it's connection properties. 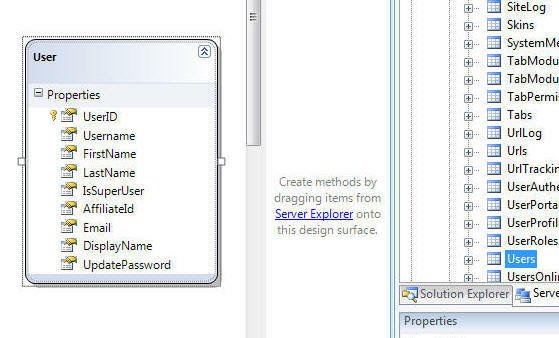 Expand the Connection section and select SiteSqlServer from the dropdown. 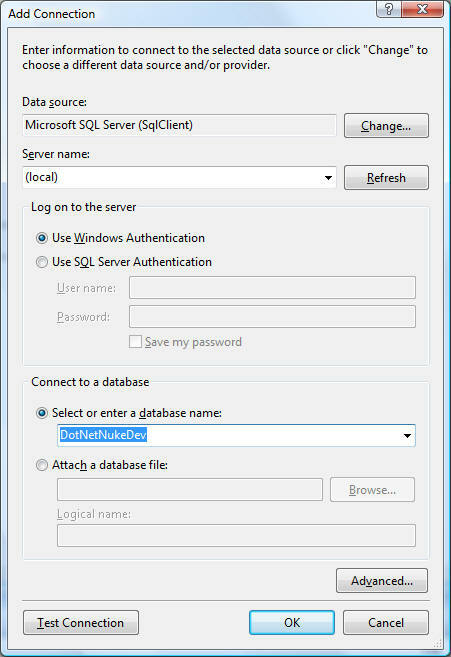 This instructors the module to use the database connection that the DotNetNuke site is running on. Next, in the Server Explorer, right-click on Data Connections and click Add Connection. Enter the connection information for the database and click OK. This is only for the designer. At run-time the module will use the connection string indicated in the earlier step. You can now expand the Tables section of the Database connection you created and drag the Users table to the Object Relational Designer. Under Properties, select UserDataContext from the drop-down. 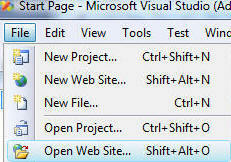 Change them back to SiteSqlServer (Web.config).